Besides providing security and scope for prosperity and empowering all with secular knowledge, it is the duty of the ruler to give knowledge of Dharma. 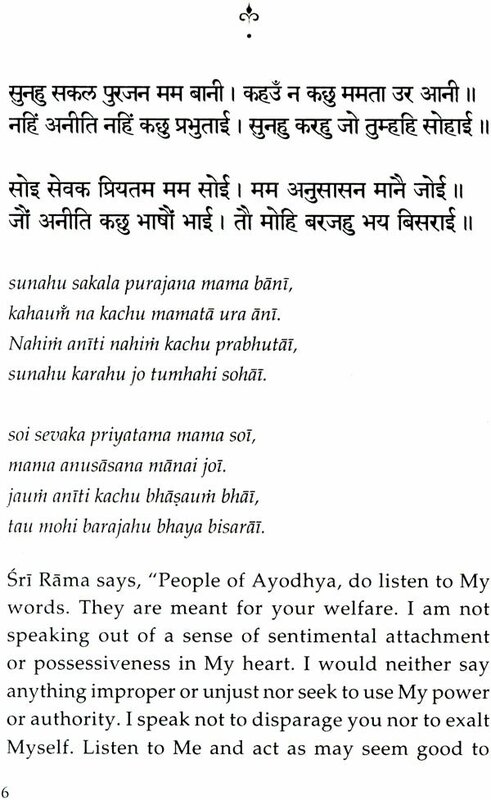 Purajana Gita found in the Uttara Kanda, Tulasi – Ramayana is Sri Rama’s message of Dharma in his maiden address to the people after his coronation as the King of Ayodhya. 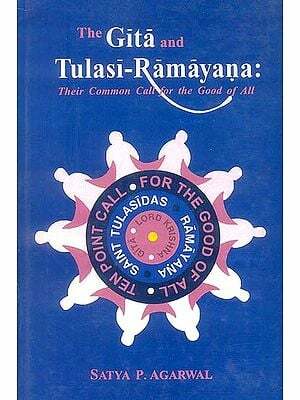 Swami Tejomayanandaji’s commentary re-establishes this message of Dharma more firmly in our hearts. Pujya Guruji Swami Tejomayananda is an outstanding teacher of Vedanta, with a profound depth beneath his simplicity and humility. He has a simple conviction – to fortify, strengthen and actualize the vision of his Guru, Pujya Swami Chinmayananda. 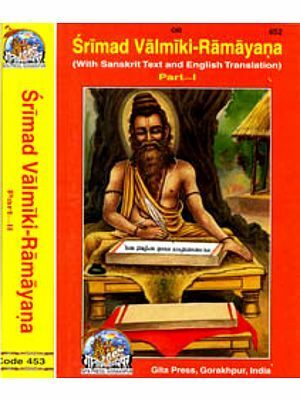 Swamiji has written commentaries on many texts of Vedanta and authored many original compositions on Vedanta and Bhakti (Devotion). He is the current head of the Chinmaya Mission a global spiritual organization with more tan 250 centres world wide. 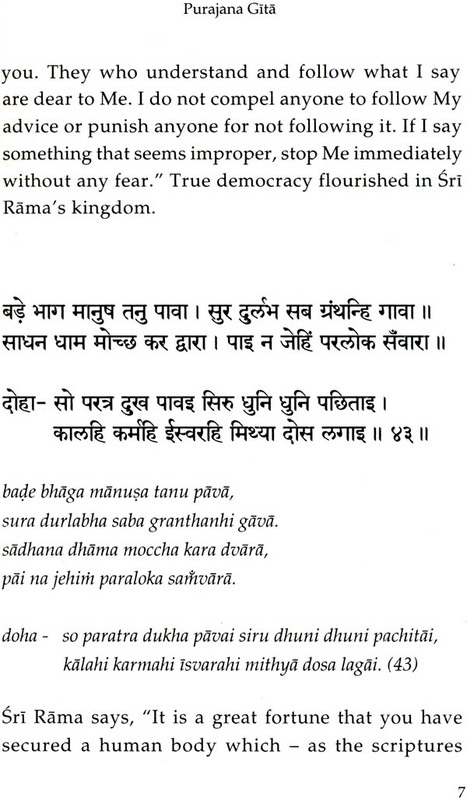 Sri Rama is the embodiment of dharma. It is the duty of the King to reach dharma to his subjects. 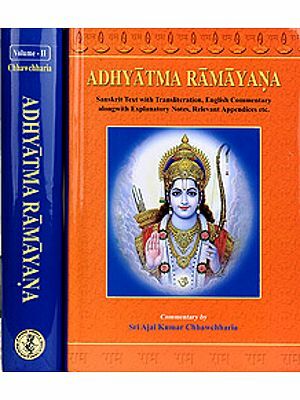 Purajana Gita is the message of dharma that Sri Rama gave the people after He was corronated as the King of Ayodhya. We are happy to publish Purajana Gita which was transcribed form the discourses of Pujya Guruji at Bhavnagar, Gujarat, India in January 2003. 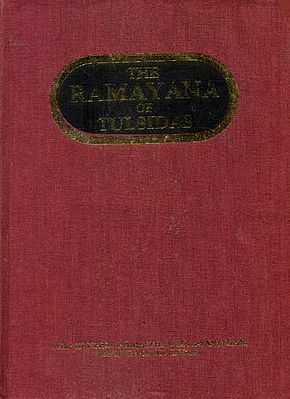 These were translated from Hindi serialized in Tapovan Prasad and later edited into a book form by Smt. Parvathy Raman. We are sure that this universal message will benefit all who read it.